Do today's believers know how to be not simply good citizens but good Christian citizens? Are they ready to respond to contemporary public policy issues such as genocide, global AIDS, global warming, and human trafficking according to Scripture rather than any particular political agenda? A growing segment of them are, even if they aren't quite sure how to accomplish it. This book is for them. With American evangelicals having more political influence today than ever before, this book is especially important. The opening chapters establish the foundational biblical principles that are relevant to our lives as Christian citizens no matter the topic. 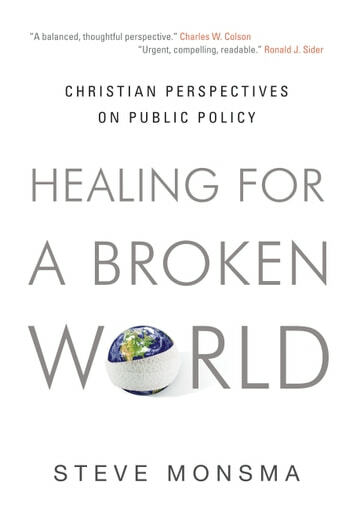 Author Steve Monsma next highlights crucial global issues in which believers are called to live out their faith. Forgoing ready-made answers, Monsma encourages a reflective, thoroughly biblical response via a lively writing style. 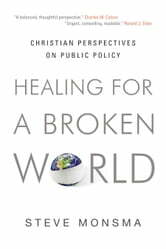 His book will equip all believers to make godly, humanitarian choices rather than purely political ones. A DVD featuring a 10 minute introduction to each chapter of this book is available from Crossway at www.crossway.org or from the Henry Institute for the Study of Christianity and Politics at www.calvin.edu/henry. It is ideal for use in classes and discussion groups.